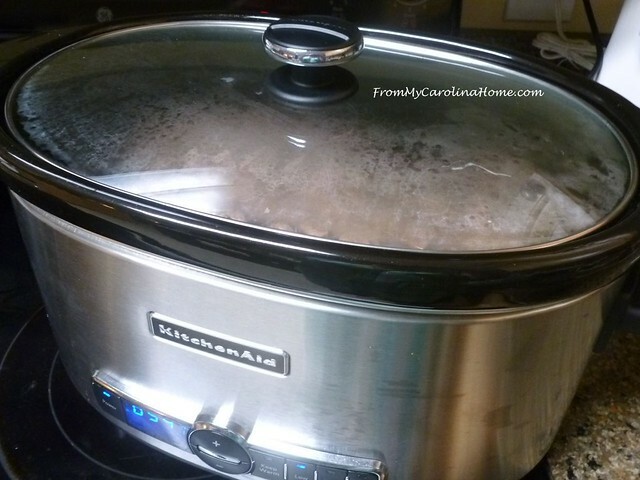 Cold days make a slow cooker meal more enticing, filling the air with the aroma of a hearty meal to come. I like doing beef this way, as the long slow cooking time can make the most inexpensive cut turn out tender and flavorful. 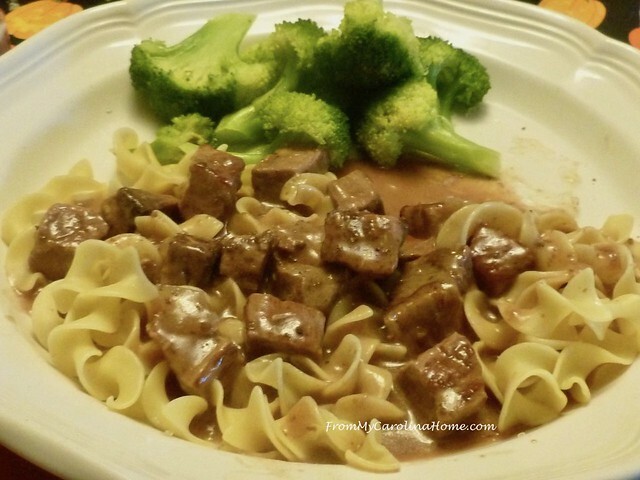 A quick cook on some noodles, and some steamed broccoli and you have a meal. I begin with a lean beef roast, cutting it into bite size pieces. 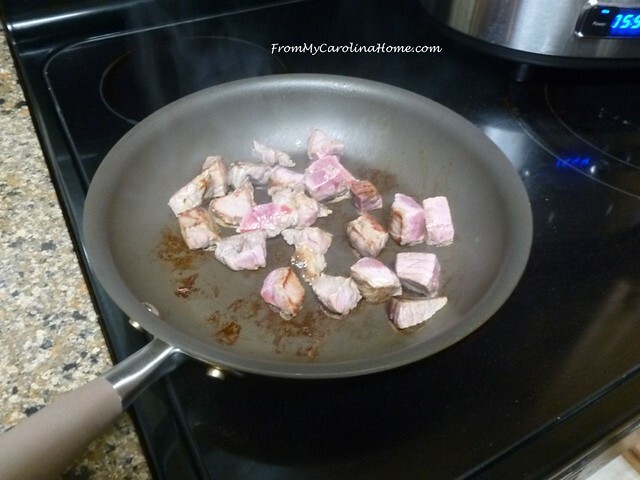 Browning the meat in a skillet on a high heat adds flavor. 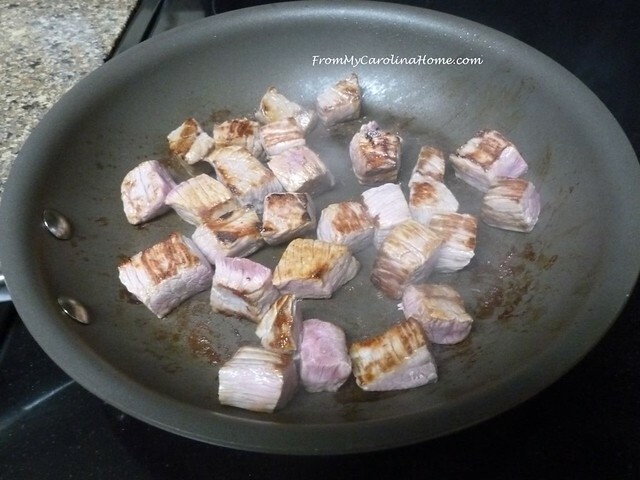 Do this in small batches so the meat isn’t crowded in the pan. 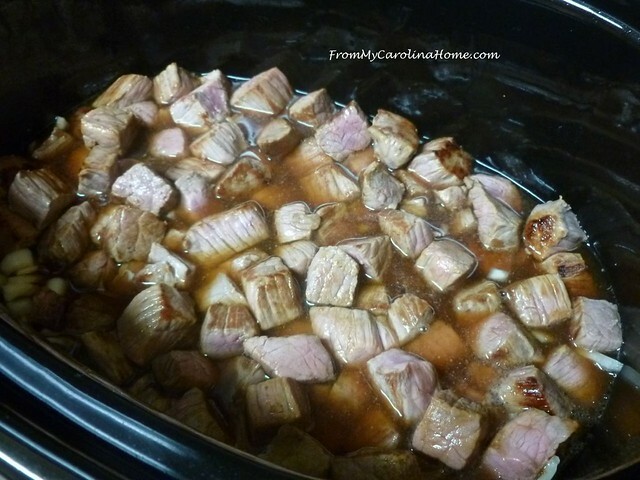 Add the meat to the slow cooker and brown the next batch. Add chopped onion. Keep going with small batches until all the meat has been seared. 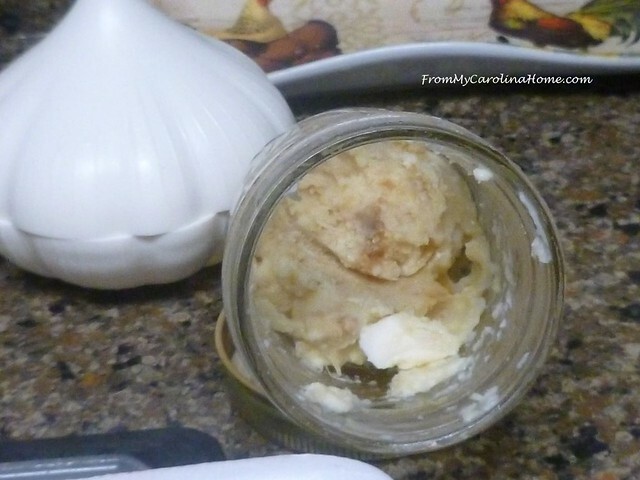 Add a couple of tablespoons of roasted garlic, for the mild flavor. If you don’t have some already roasted in the refrigerator, just smash a couple of cloves and add those. De-glaze the pan with some low-sodium beef broth. 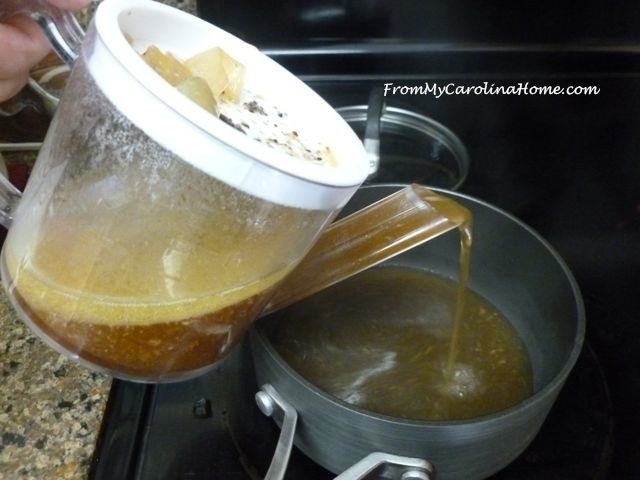 Add the broth from the pan to the slow cooker, and any additional broth remaining. Cover and cook on low for 6-8 hours. This three-pound roast made just barely enough to reach the minimum fill line on my 6-quart slow cooker. Using a smaller 4-quart one would work better. 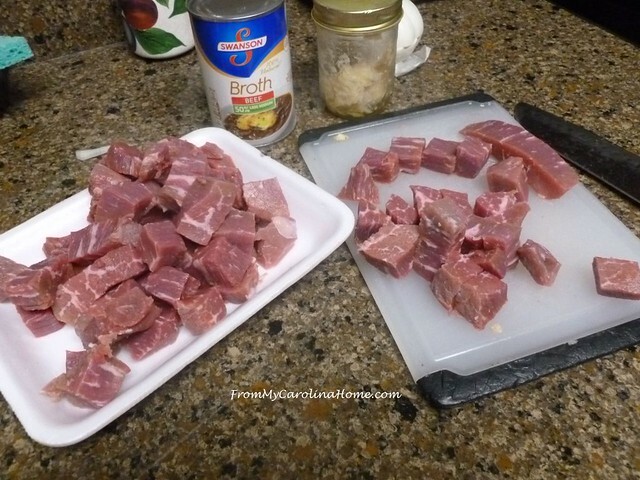 Remove the meat to a plate, and de-fat the remaining broth into a sauce pan. 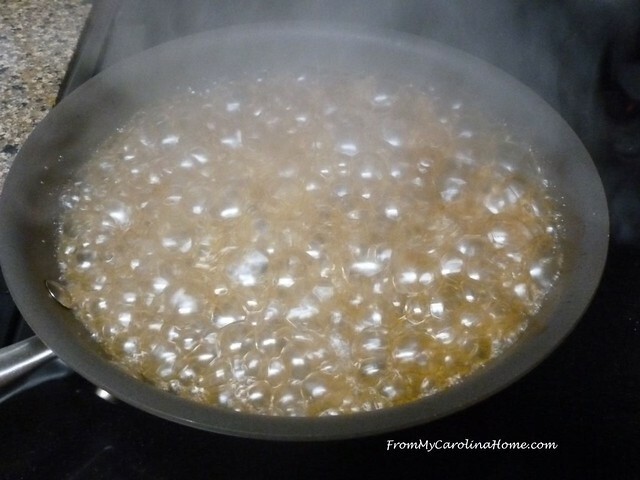 Make a slurry of flour and water (or for my gluten free readers, cornstarch and water), and stir quickly into the boiling broth to thicken the gravy. Return the meat to the cooker, and pour the gravy over the meat. Serve on wide noodles or rice. Add a fresh veggie and you have dinner. Some crusty bread is nice too. Pat roast dry. 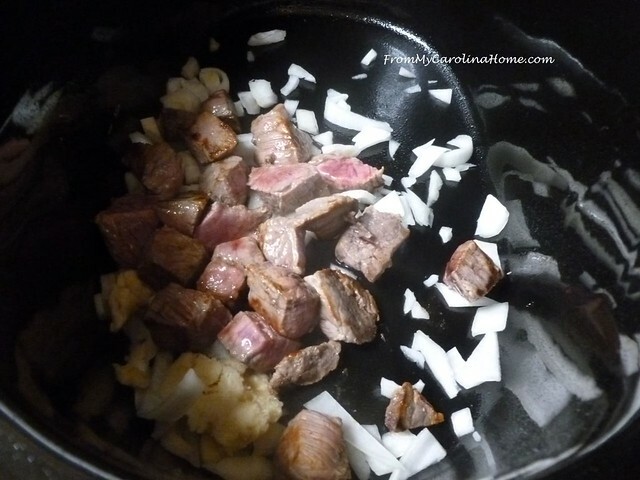 Sear the pieces in a dry non-stick skillet in batches, adding to the slow cooker when nicely browned. Add onions and garlic to cooker. Deglaze the pan with some of the beef broth and add to the cooker along with any remaining broth. Stir to distribute the garlic in the broth. Add salt and pepper to taste. Cook on low for 6-8 hours, until tender. 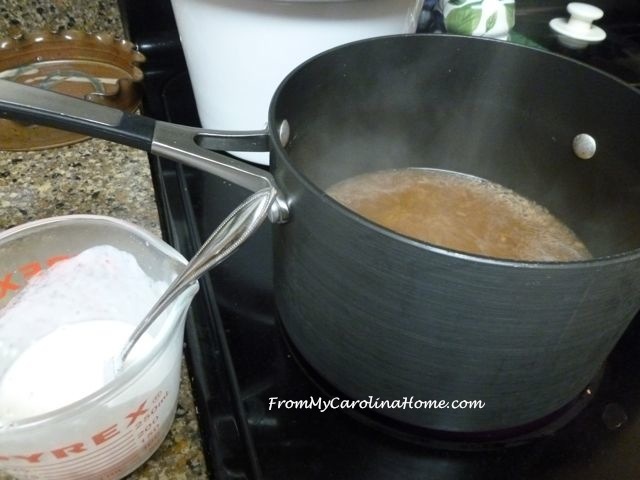 Remove meat to a plate and pour the liquid into a fat separator. Pour the broth into a sauce pan. Bring to a boil, and stir in a slurry of flour and water (or cornstarch and water) to thicken the gravy. Return the meat and gravy to the cooker. Serve with cooked noodles or rice, and a steamed vegetable or salad. 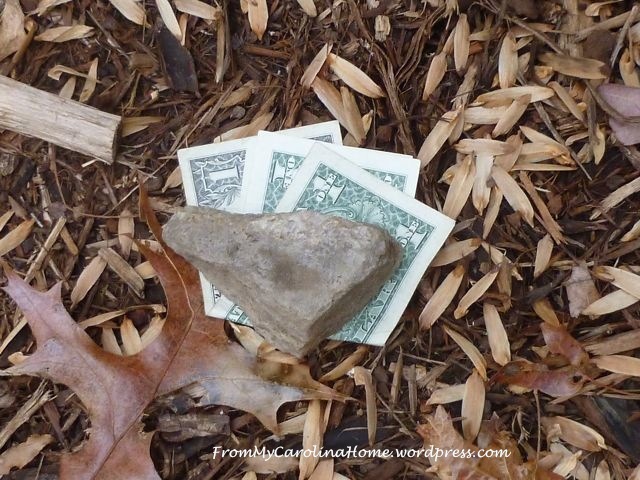 Tonight is the night to hide some money outside! If you do this on New Year’s Eve, (doesn’t matter how much) then bring the money into the house on New Year’s Day, you bring good fortune with it, as long as it is still there, LOL!! This along with some black eyed peas tomorrow should take care of bringing good luck for the next year. I usually do a version of Hopping John that I have kicked up a notch with kielbasa and call Jumpin’ John. The peas are mixed with rice, sausage and sauce, then garnished with green onions. It is a good luck lunch in a bowl while watching the football games. 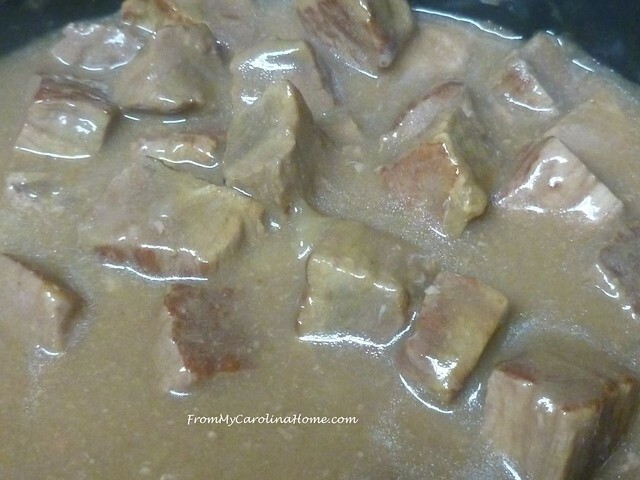 Back to the beef, the best part of the Roasted Garlic Beef Tips is that the recipe can be altered in any way that you like, add more or less onion or meat, add more seasonings you like, or punch up the heat with some horseradish or sriracha. Whatever your plans for tonight and tomorrow, have a safe and happy New Year’s Eve! Wishing you health and happiness in the New Year. Yum…..looks good. We do our slow cooking in a Sous Vide….a wonderful kitchen tool! I’ve heard of the black eyed peas New Year connection but never hiding money…..fun to learn these Southern traditions. Cheers for the New Year!!! Looks delicious, Carole! I pinned it for future cooking. Happy New Year! Thanks for another great recipe! Happy New Year! 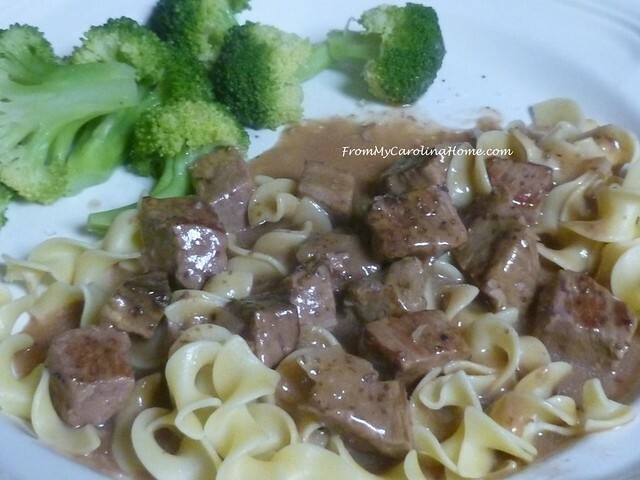 We do a similar version using leftover beef. We call it Slop on Glop! Hahahaha! We also serve some seafood on New Year’s Eve to help us swim into the new year. Might have to try your Jumpin’ John. Happy New Year, Carole! Fun traditions! No idea what we are doing! Got an Instant Pot for Christmas, and checked out six books from the library, and hoping to find something to try out this new technology. Happy New Year everyone and looking forward to what you come up with in 2019 Carole!! Cheers! ALWAYS have black eyed peas on New Year’s Day. That’s about as southern as you can get. Bacon, onions, garlic and sometimes, tomatoes in it. That’s basic and the recipe is usually filled with other goodies. Last night and this morning, we are having rain and have received over 60.5 inches for the year. (We have a cumulative rain gage). I’m 60″ tall and not sure I could get my nose above water, even on tip toe…😬😀. Thanks for another good recipe idea. Love using my crook pot and IPot…more time to quilt! Never put money outside, but my Mother always cooked a penny in a small pot of cabbage AND we were never rich, but we were happy!! Happy New Year to you and yours. This sounds fantastic, Carole! The nice thing about my new Instant Pot is that I could sear and saute right in the instant pot, and then set it to slow cooker mode. One dish cleanup!! I didn’t know the trick about the money – I’ll have to try that, we could all use a little good luck in 2019! Loving my instant pot too, same recipe basically, 35 mins. Nice comfort food for a rainy day!! Happy New Year everyone. 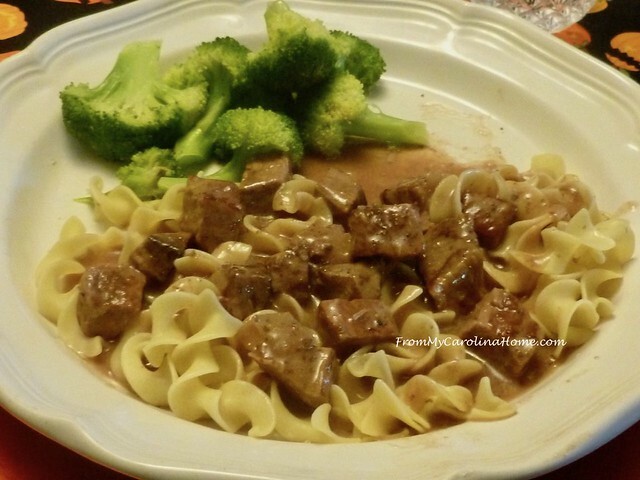 Hello Carole, Thanks for another fantastic recipe to bring in the New Year! My family have always loved roasts cooked in so many various ways, but slow cooked in the slow cooker or even in the oven is the best! Kevin has not mentioned Black Eyed Peas, I will have to talk to him when he wakes up. He had a terrible night of pain and not much sleep. I wish you the best in this New Year Carole! 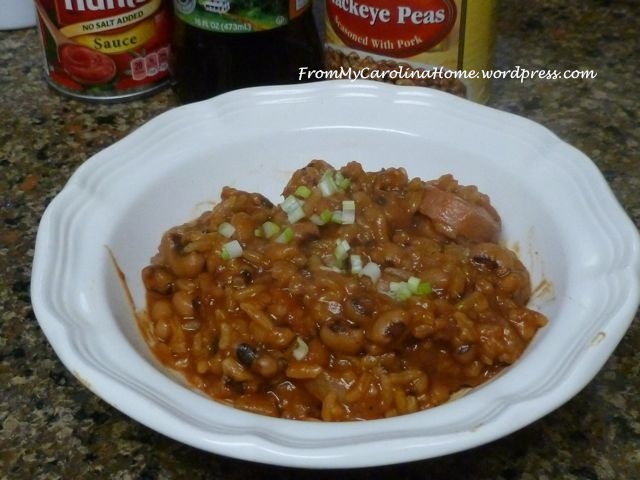 I had no idea there was a tradition of eating black eyed peas for New Years, but then I don’t think I even tasted a black eyed pea until I was 30! LOL our tradition is to have cheese and crackers on New Year’s Eve. It’s a big treat because we never buy crackers or fancy cheese except for this night. Happy New Year!